MAKING USE of a wide range of Irish and British military archives Paul O'Brien tells the story, and debunks some myths, of what he describes as "one of the bloodiest and perhaps the most successful engagements fought by the Irish Volunteers during Easter week 1916." Occupying strategic positions in and around Northumberland Road and Clanwilliam Place, around 30 Irish Volunteers led by lieutenant Michael Malone fought a fierce battle against numerically superior British troops intent on crossing the Mount Street bridge over the Grand Canal. Although eventually overwhelmed by sheer numbers and superior firepower - a decision by British army commanders to deploy machine guns and explosives was critical to British efforts to dislodge the rebels - the Volunteers inflicted heavy casualties on inexperienced British soldiers from Nottinghamshire and Derbyshire regiments. Despite their eventual defeat, the Volunteers also achieved their main objective of delaying British troops sent to reinforce those engaged in the fighting in the centre of Dublin. O'Brien demonstrates that, from a tactical standpoint, the newly recruited British forces of the Nottinghamshire and Derbyshire regiments were ill-equipped to deal with the rebel's defensive strategy. The British forces were inexperienced in the art of urban warfare. They had also failed to learn the lessons provided by London Metropolitan Police efforts to dislodge three well-armed Latvian anarchists from a building in east London in 1911. British reliance on superior numbers and frontal attacks aimed at 'overwhelming' opposition forces proved exceedingly costly in terms of lives and injuries. Two-hundred-and-forty British soldiers were either killed or wounded in the battle. Put simply, the fight in Dublin bore no relation to the conditions British troops were trained to face in the French and Flanders trenches. On the controversy concerning de Valera's decision not to send reinforcements from his HQ at Boland's Mill, O'Brien insists that criticism of the 1916 leader has been "unfair". The 3rd battalion was already seriously under strength due to the countermanding order issued by O'Neill. O'Brien concludes that, had de Valera sent reinforcements to Mount Street bridge, it would have jeopardised his troop's ability to hold the mill. 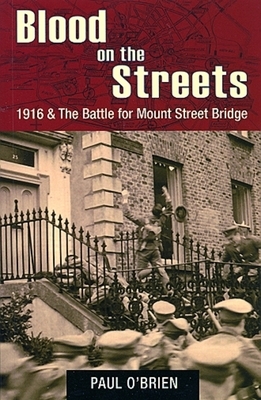 O'Brien's short, highly readble account of the events at Mount Street bridge is both even-handed and informative. It also includes the only written account by a British army officer of the executions at Kilmainham jail in the aftermath of the rising. This document was last modified by David Granville on 2008-09-23 10:23:46.